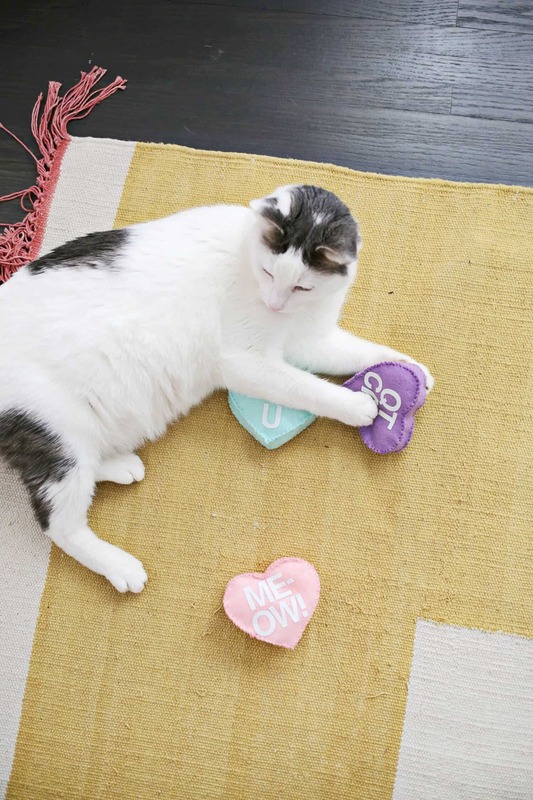 When this Valentine’s Day rolls around, don’t forget that pets need some love too! 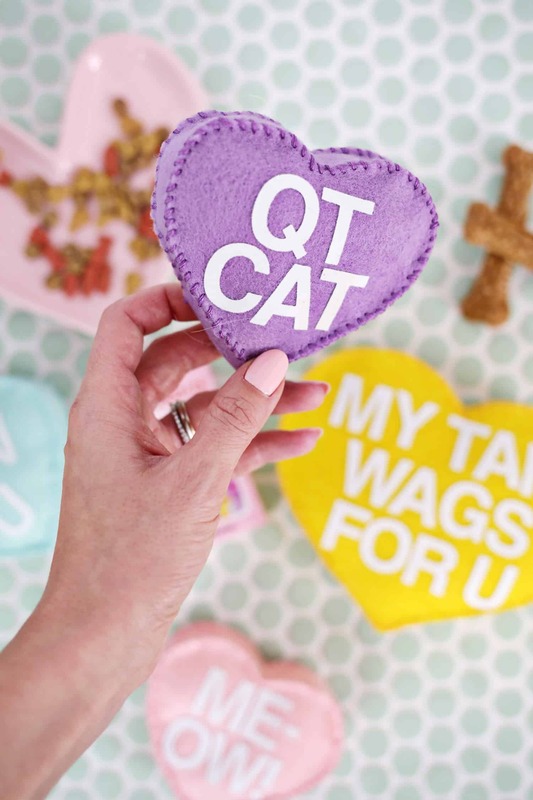 I mean, who is always willing to stay in with you and watch a movie or snuggle on your bed while you read a book or “help you” clean out that cereal bowl you left on the counter? 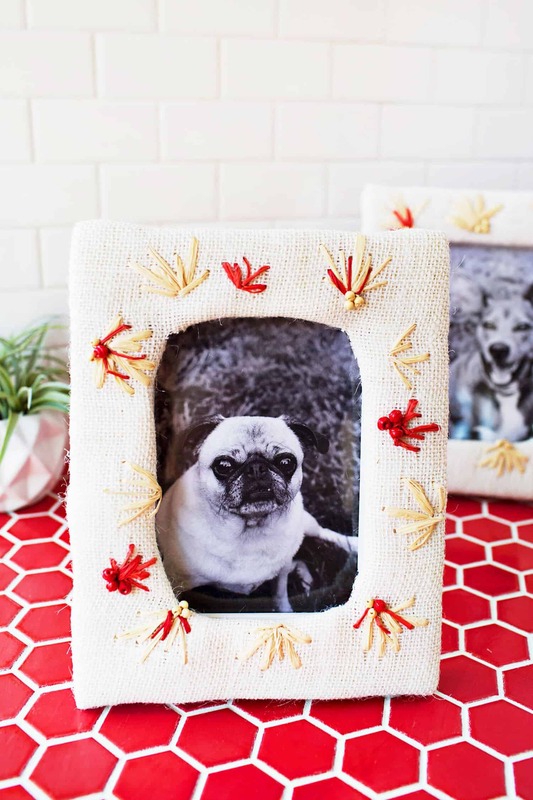 That’s right … it’s our pets! 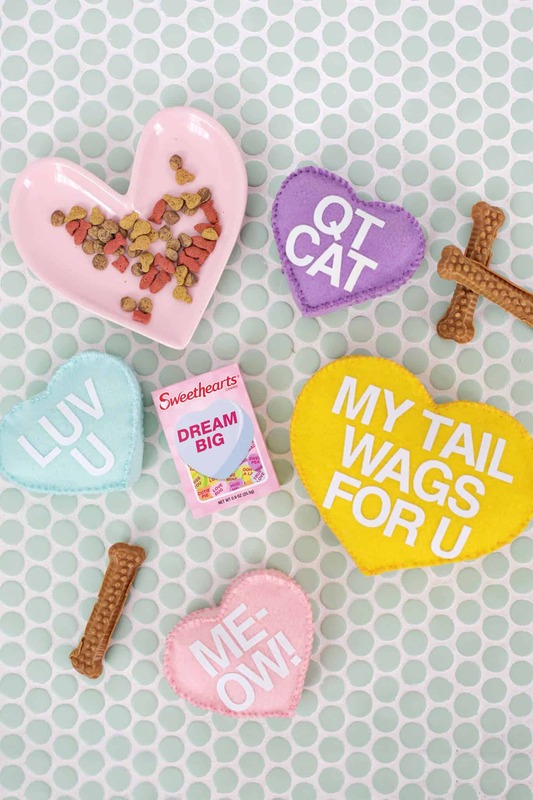 Whether you have a cat or dog, these conversation heart toys are the perfect present to show your fur baby how much you care! 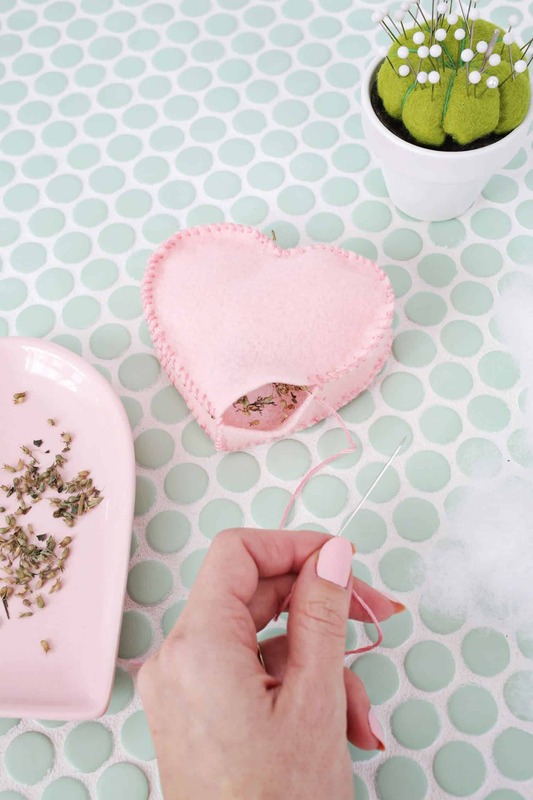 Print out the heart template and use fabric scissors to cut two hearts and one long strip per toy. 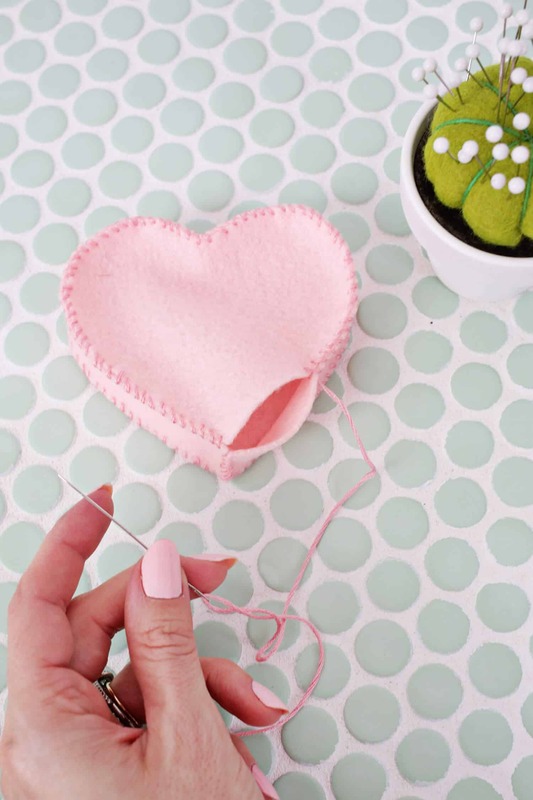 Place the letters you want to use onto your heart to make sure they fit and arrange them to be centered and straight. 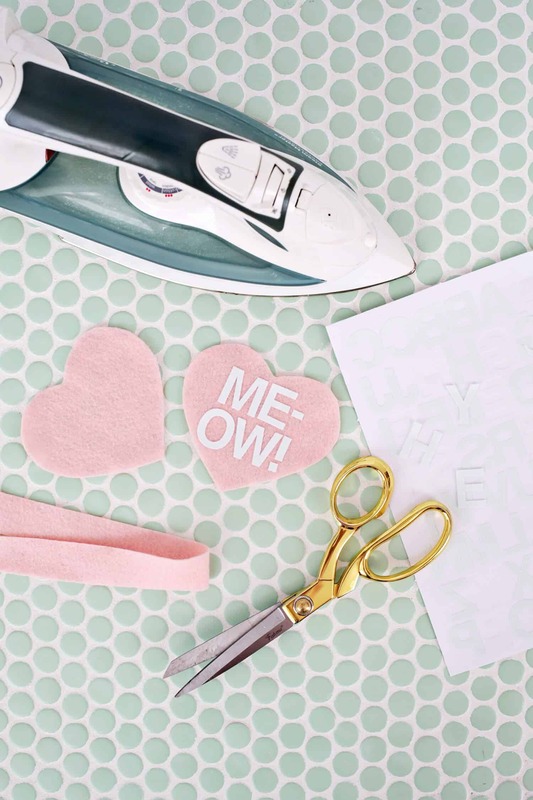 Iron them onto your felt. 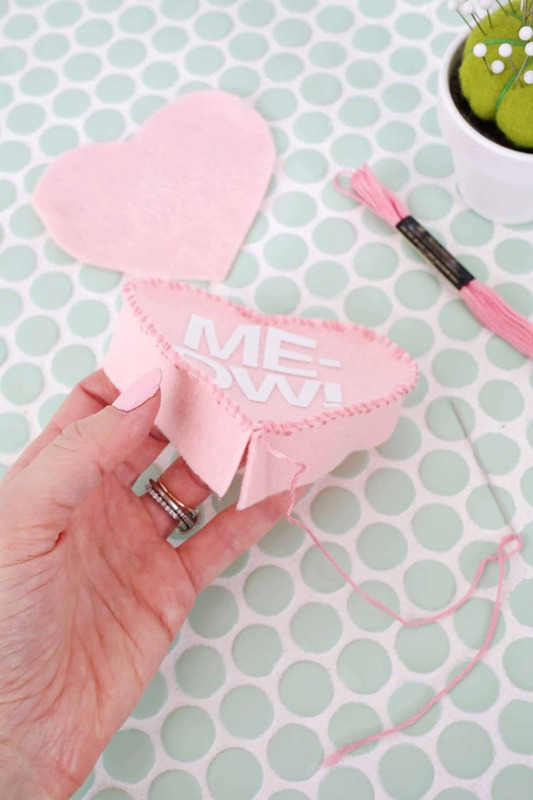 I would suggest doing the lowest (synthetic) option on your iron for cheaper non-wool felt sheets and do a test letter on a scrap piece to see if you need to use a tea towel between the felt and the iron. 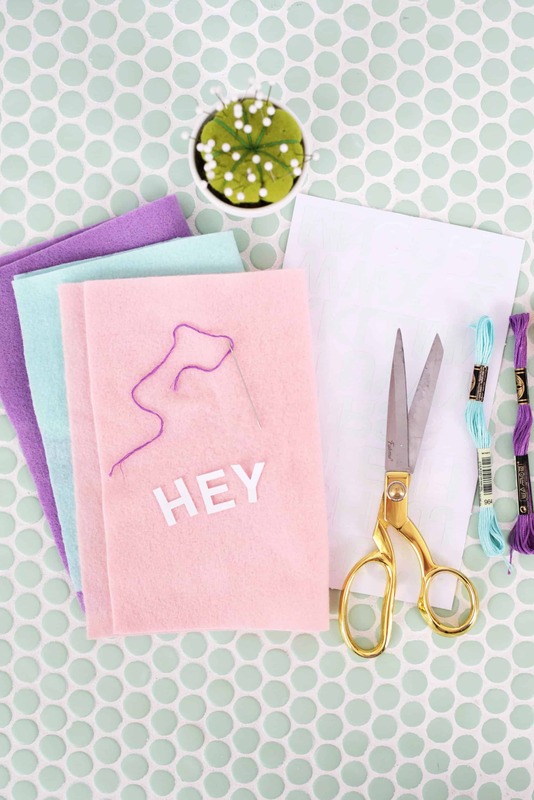 I had two different blends of felt and one worked better with the towel and the other worked better without it! 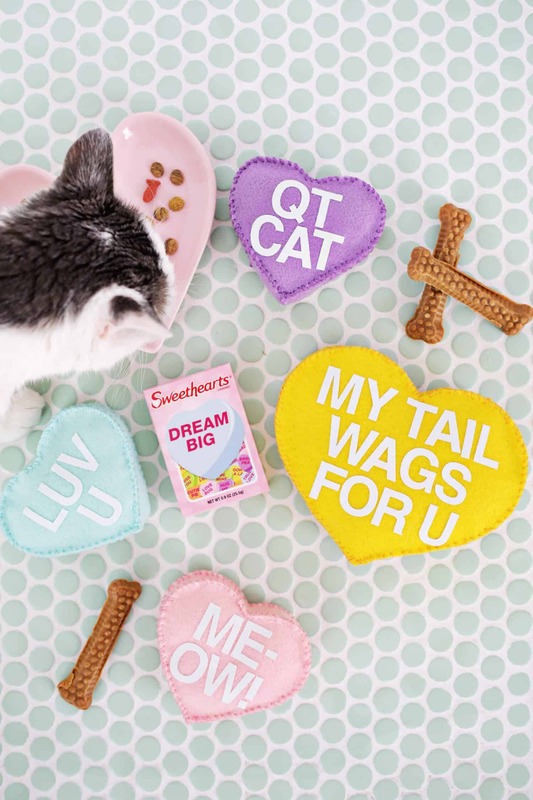 My cat would love these! 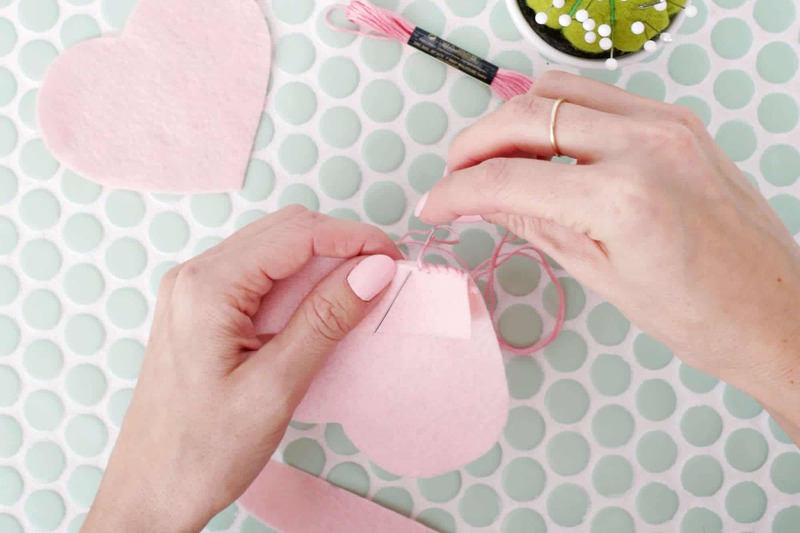 amazing diy idea…thank you for sharing! It is a lovely idea. 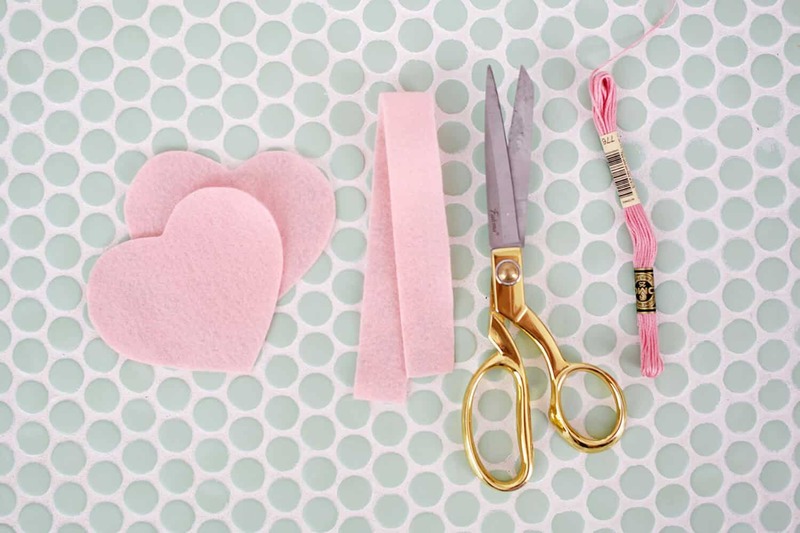 I am going to make some hearts for my cat Luna, she will love them. Thank you for sharing.